MSJ hosted its sixth annual Relay for Life (RFL) event from April 21 to 22 raising more than $97,000 for cancer research. The 24-hour overnight service event aims to raise awareness and funds for the American Cancer Society. On the morning of April 21, dozens of colorful tents lined the edge of the track as teams set up their fight-back activities, interactive games that help spread awareness on different kinds of cancer. Soon after, all attendees made their way to the center stage for the Opening Ceremony. 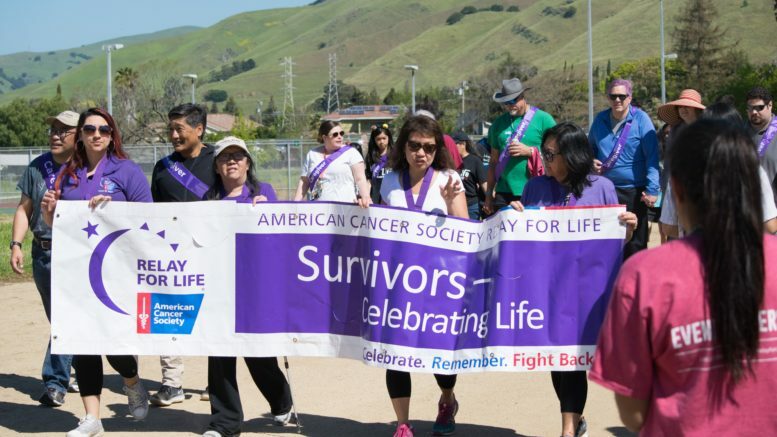 After the Syncopasian’s performance of the National Anthem, participants cheered on cancer survivors and caregivers as they walked the first lap around the track, kicking off the event. Throughout the day, all teams assigned at least one team member to walk the track at all times, to represent the constant yet united fight against cancer. When they weren’t walking, participants spent their time at organized activities, such as scavenger hunts and pie auctions, which allowed attendees to buy one dollar raffle tickets to “pie” their fellow participants. Later in the day, students took part in boxcar races, which were used to demonstrate Road to Recovery, a program administered by the American Cancer Society that provides cancer patients with rides to their treatments. In the late afternoon, RFL hosted its first ever tree planting ceremony. Freshman Ishani Ashok opened the ceremony with a heartfelt speech about the impact cancer has had on her family after her mother’s pancreatic cancer diagnosis. Volunteers from all teams then helped RFL Coordinator English Teacher John Boegman plant a cherry blossom tree. Ceremony Chair Senior Jasmine Mehta stated that the freshly planted tree stood for hope and strength for those struggling with cancer. She also revealed that a nearby pre-planted cherry blossom tree stood to honor those who lost their lives to cancer and was dedicated to the late Dr. Suhani Mody, who lost her life to melanoma merely hours before the 2017 Relay for Life event almost a year ago. Her coworkers Dr. Akhil Wadhera and Dr. Irene Gemweaver spoke about the impact Mody had on their lives. Co-Event Lead Senior Vinayak Nadig unveiled a plaque that stands in between the two trees in honor of Dr. Mody, after which participants in the audience attached Post-It notes with messages of hope and remembrance to the new tree. Decorated with dainty fairy lights and pastel Post-It notes, the trees stand as a reminder of why MSJ relays. The highlight of the evening was the Luminaria Ceremony, which was attended by almost 350 people. Luminaria Coordinator Senior Hana Rahman opened the ceremony with a sincere speech about how she relays for Thaddeus Tran, who was unexpectedly taken away by metastatic cancer at the age of 24 in 2016. Next, MSJ Class of 2007 Alumnus Jess Chiang was welcomed on stage to share his story about battling cancer twice in life. His speech was followed by a performance by Junior Anisa Kundu who sang “Ronan,” after which Senior Mallika Gupta performed an acoustic cover of “The Scientist” by Coldplay, setting the perfect soft vibe for the last speech of the evening. For the first time, Math Teacher Iulia Rusu opened up publicly about her battle against cancer. By the end of the ceremony, tears were shining in attendees’ eyes as they truly felt the impacts of cancer and the gravity of the cause they were fighting for. After the Syncopasian’s rendition of “Lean On Me” by Bill Withers, participants took part in the traditional silent candlelit lap to celebrate and remember those fighting cancer before splitting off into teams for the night. As the Relayers were beginning to pack their bags on the morning of April 22, they gathered together one last time at the center stage for the annual Closing Ceremony. Cancer survivor Gail Irwin gave an inspiring speech on the help she received from the American Cancer Society when she was in treatment, after which the Event Leadership team introduced the Pin Ceremony. Participants were called to the stage to receive pins as prizes based on the amount of money they raised. Special recognition went to AP Physics Teacher Peter Geschke, who raised $10,000 alone, and Team Win The Fight for raising the most money, at more than $17,000. Cumulatively. MSJ Relay for Life 2018 raised a grand total of $97,027, greatly surpassing the $80,000 dollar goal. Although MSJ’s 6th annual Relay for Life was a great demonstration of dedication and effort, it’s only the beginning of the fight. 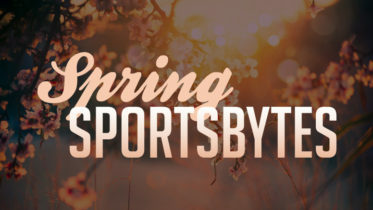 “What I want to see from this is for young people to realize that they play a part in their community, and that their passions can drive what the community does,” said Boegman. Be the first to comment on "MSJ Relay For Life 2018: Recap"